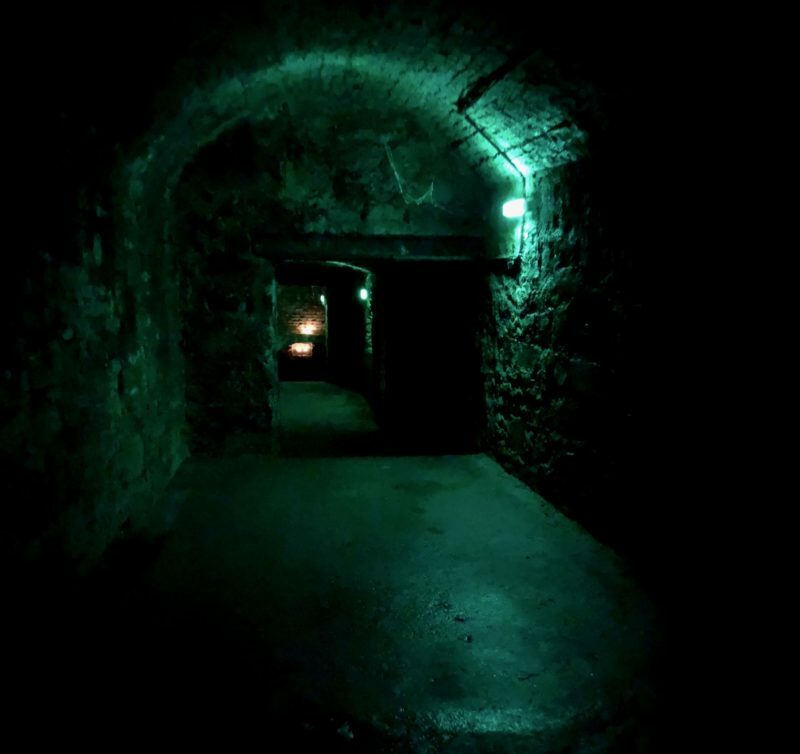 The underground vaults in Edinburgh are fascinating and would probably be my top thing to do of all! 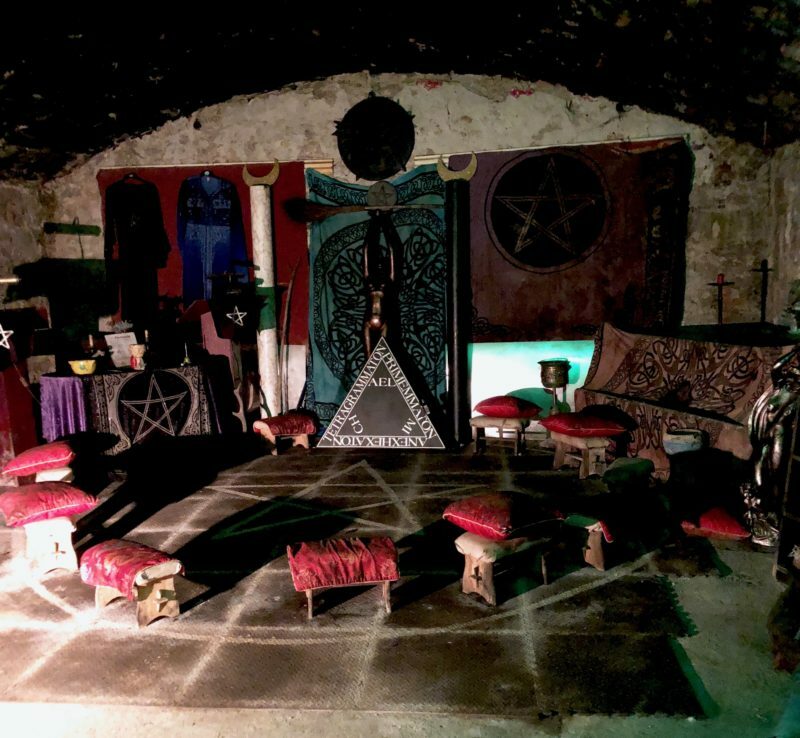 There are various tours operating that will take you down in to the vaults, you can choose purely historical tours or ones with more of a creepy undertone…both are great. 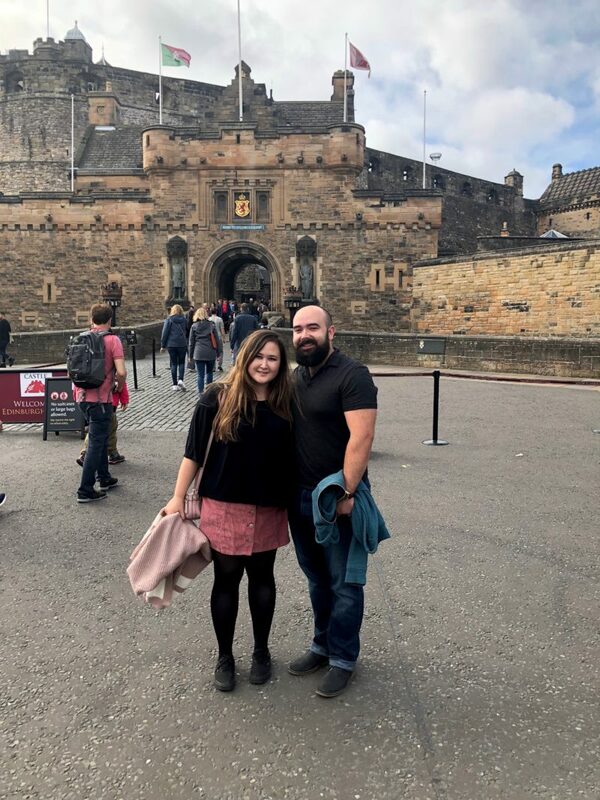 The vaults of Edinburgh are highly regarded as one of the most haunted places in the country, and we were keen to see a ghost. We saw lots of floating lights whenever we looked through our camera lens but couldn’t see them with our naked eyes, nor would the camera catch them. Grumpy also felt something grab his bum, wishful thinking or a ghostly encouter…you decide. Can highly recommend learning the history of the vaults and some of the characters that resided in them on one of these tours. 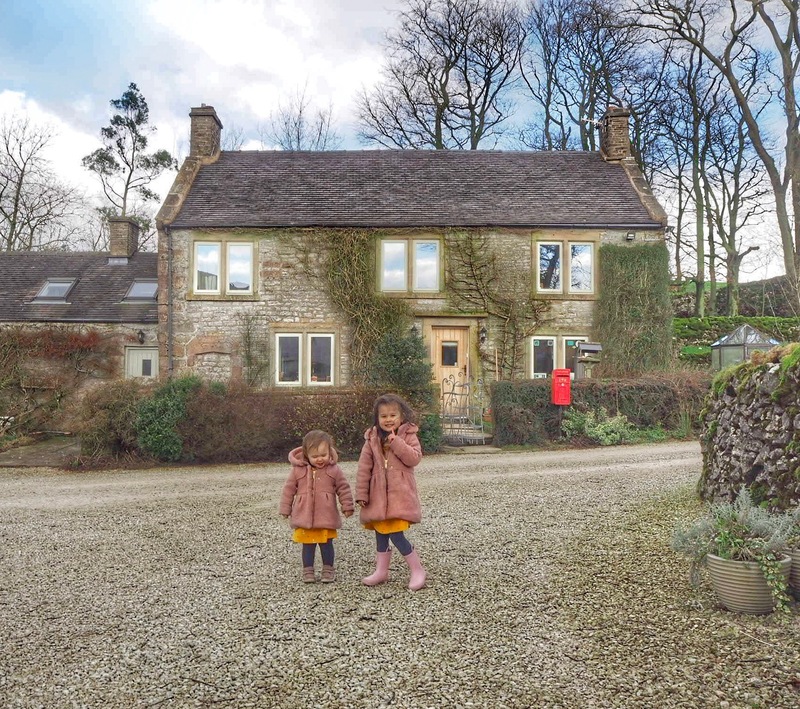 Stunningly beautiful grounds and several enormous green houses full to the brim with exotic plants and trees…often regarded as one of the best in the world! 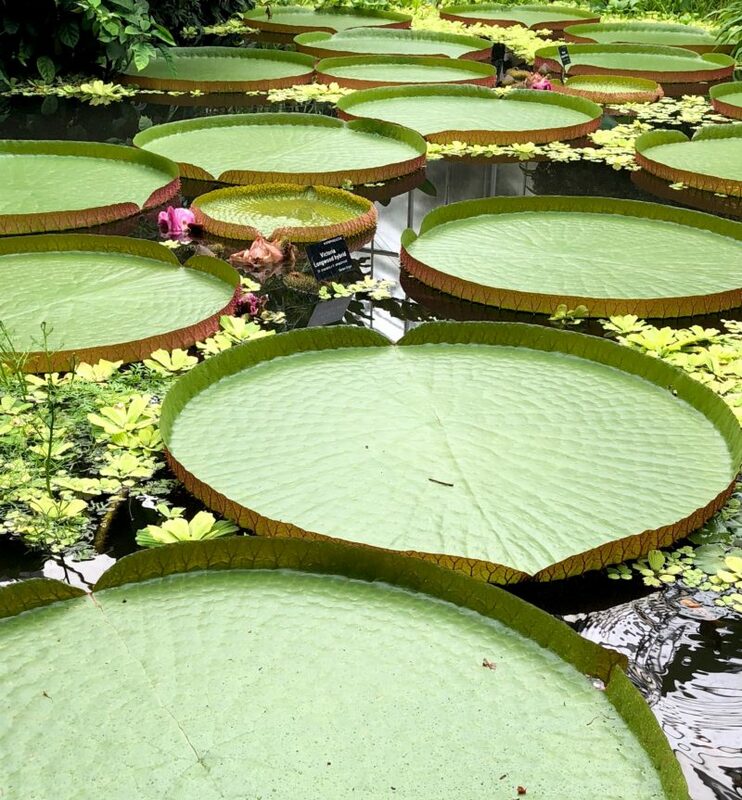 The buildings alone are worth a visit, but the giant lily-pads in one of the glasshouses were breathtaking and put this place at my number two. J.K. Rowling was inspired by and wrote most of her famous books in little cafes in Edinburgh. 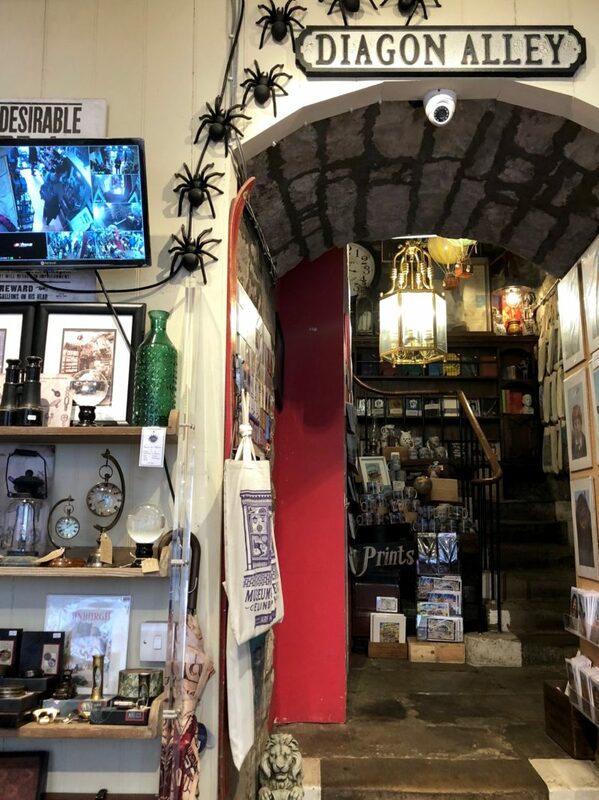 As a huge Harry Potter fan, Edinburgh felt like one big trip to Hogwarts…there are shops everywhere selling floor to ceiling Potthead merch and lots of them are far more than just a shop. 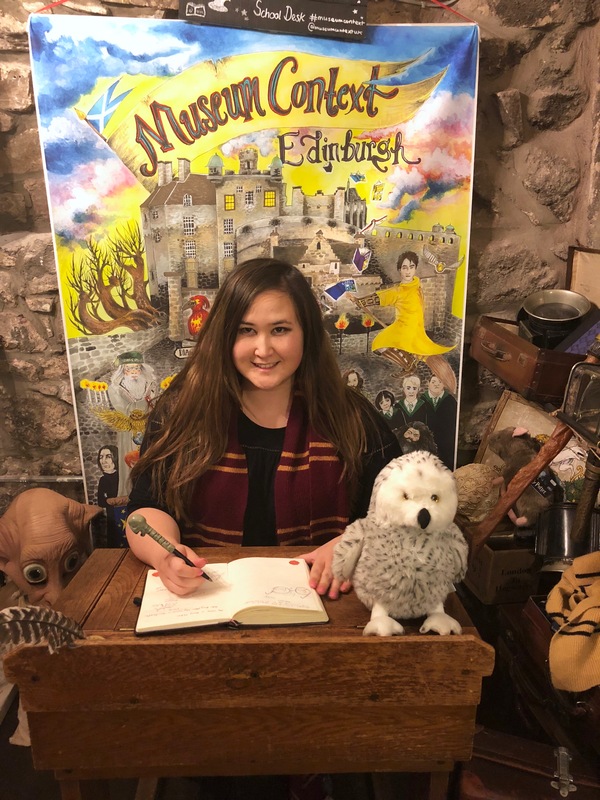 My favourite is Museum of Context on Victoria Street which has several storeys with insane Harry Potter decor – it really is like a Museum and definitely one of the top things to do in Edinburgh! The Whisky Experience is an attraction that starts off with a ride through the whisky production process and goes on to teach you everything you ever wanted to know about Scotch Whisky…and allowing you to sample as you go! Grumpy Husband was very very happy. 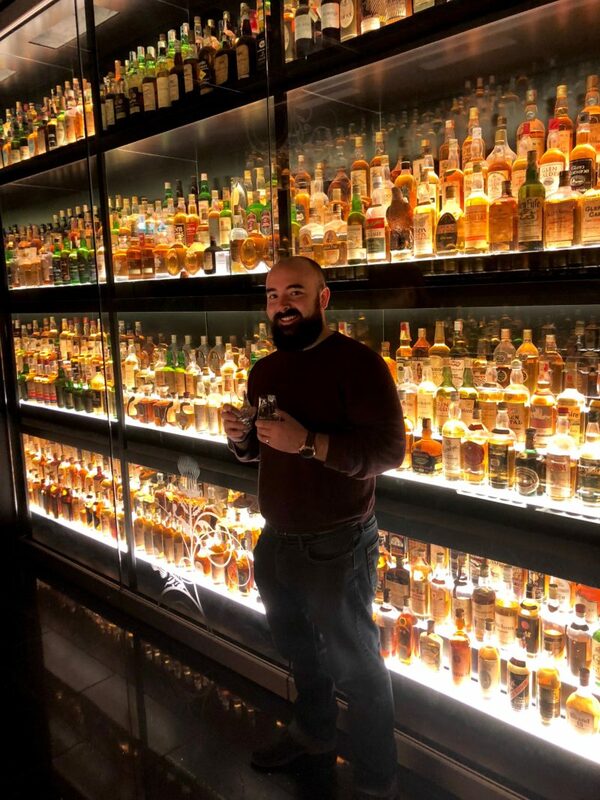 The star of the show is definitely the insane whisky vault, Grumpy’s idea of heaven. You can choose to sample one kind of whisky or pay to sample more. 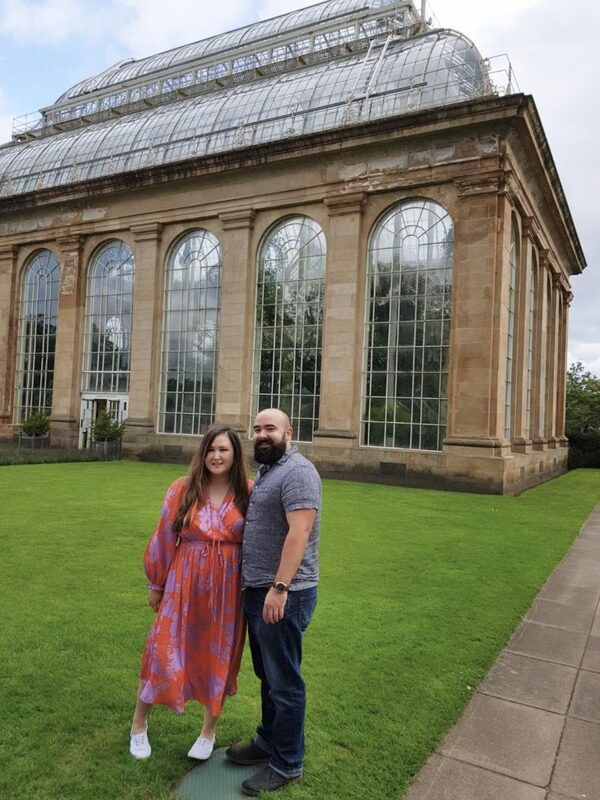 I don’t even like Scotch but I had the most amazing time. 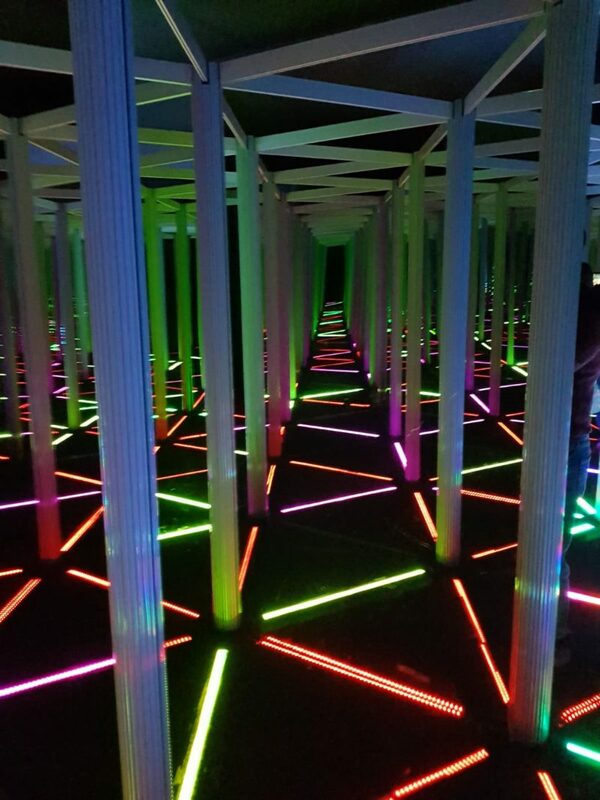 After a whisky tasting session, why not pop over the road to The Camera Obscura, a museum filled with amazing and wondrous optical illusions, as well as a mirror maze and rotating tunnel. 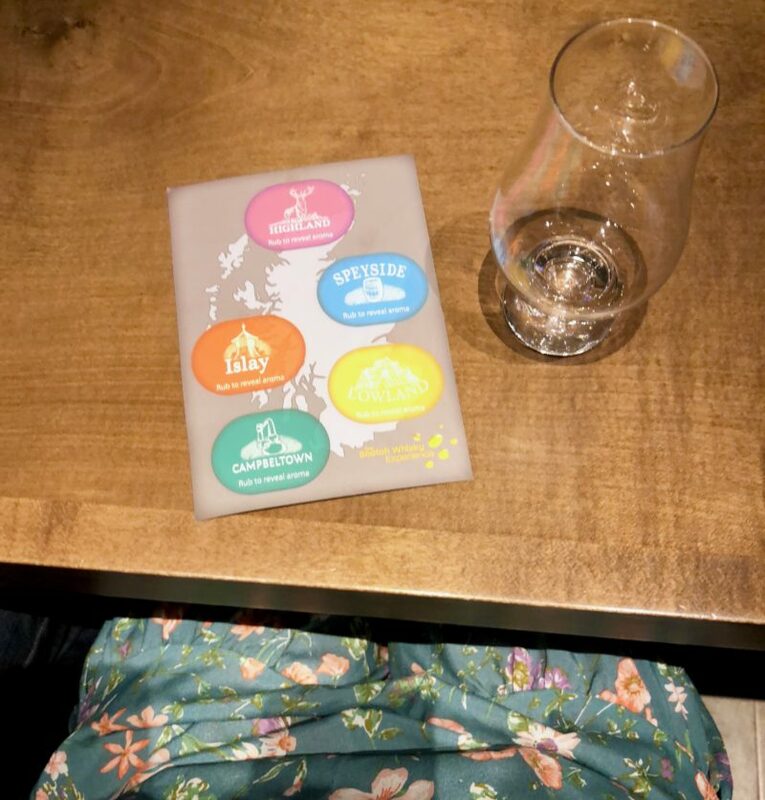 It’s a super fun few hours for all the family (except Grumpy who gets very aggravated when faced with a Magic Eye picture) and we found our whisky tasting session beforehand enhanced our experience if you’re that way inclined. 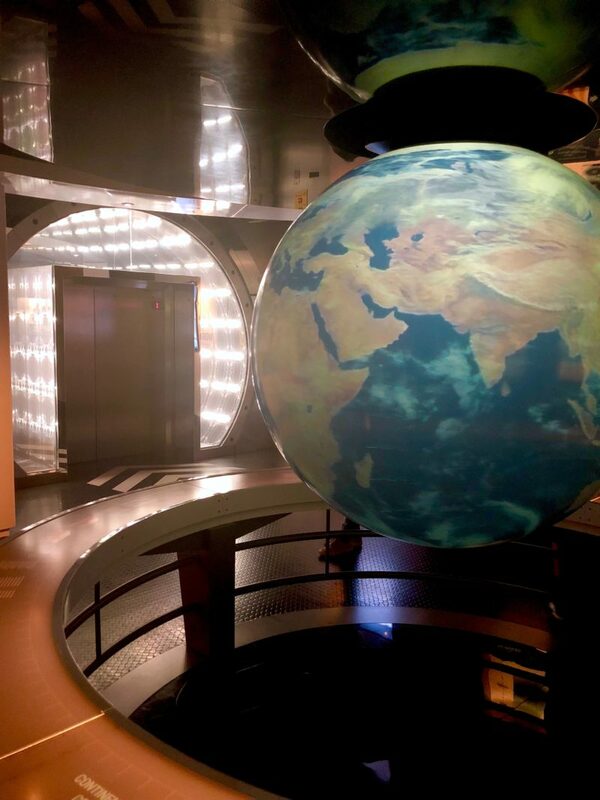 This interactive walk through starts at the beginning of time and takes you through the big bang, ice age, prehistoric era, etc, to present day and is so much fun, highly recommend this for a day out with kids and adults alike. There is also a 360 degree cinema experience at the end with various short films, it was brilliant! 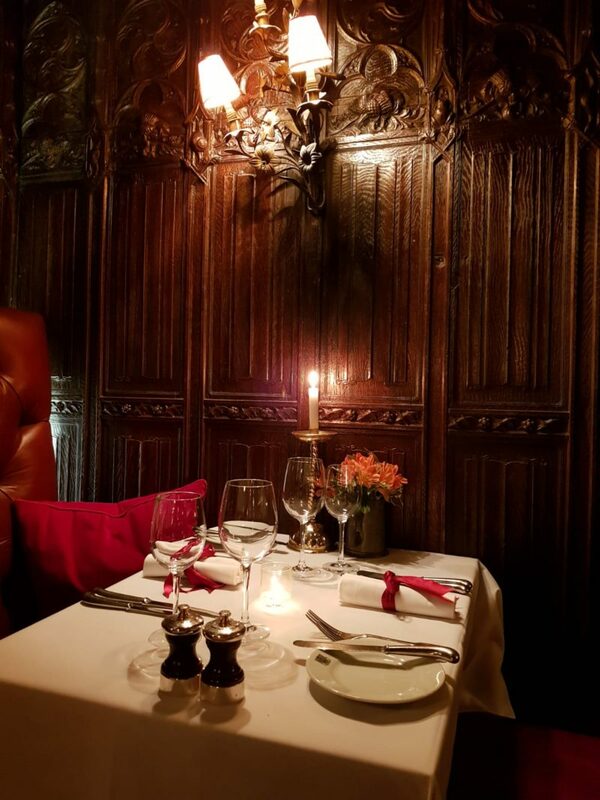 Top of my list when visiting Edinburgh was to dine at The Witchery, a spooky high end restaurant on the Royal Mile. (Make sure to book in advance if you want to go it gets busy.) 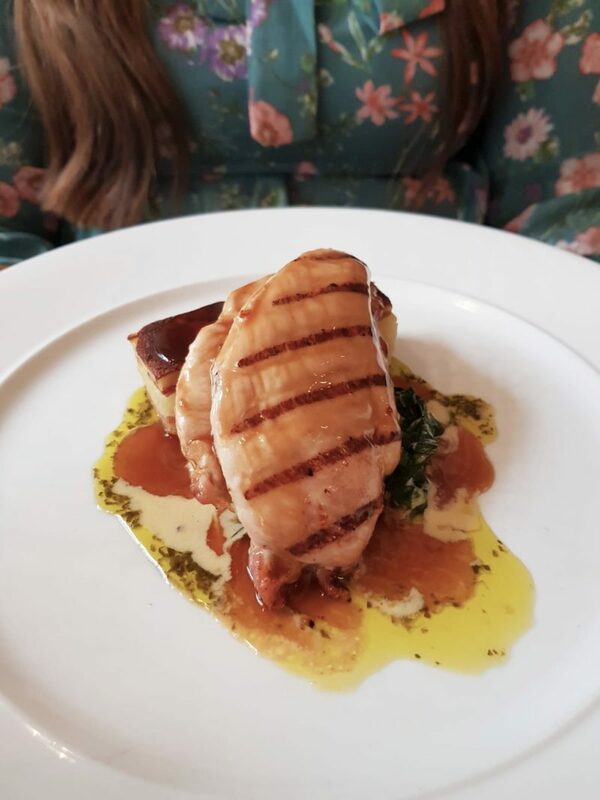 But we also found a place called Howies on Victoria Street (chicken dish below) which was by far the best food and value on our whole trip – highly recommend! Whisky, shortbread, and of course haggis – get in to the spirit of being in Scotland and sample the local delicacies. 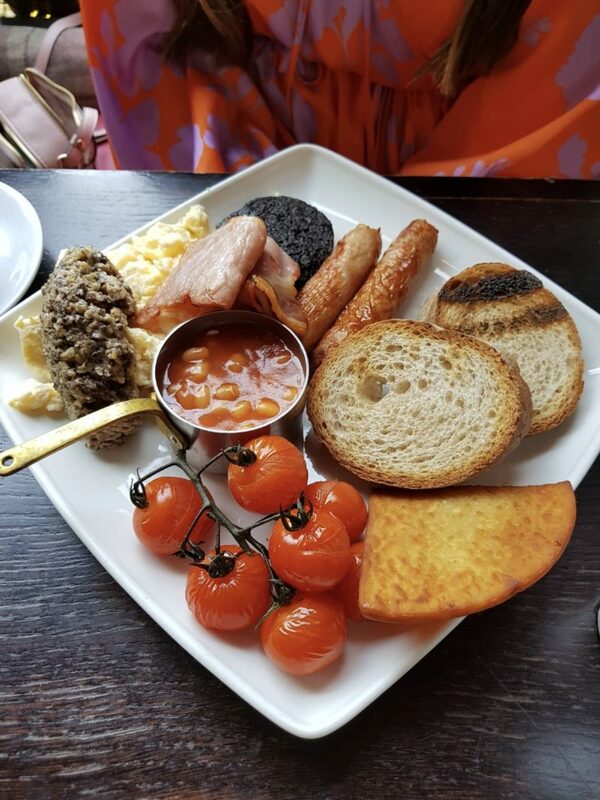 I didn’t want to commit to haggis completely so ordered it as part of my breakfast (it’s that brown stuff on my eggs in the picture below), and you know what…it was delicious! You cannot miss the Castle if you are strolling around the Old Town, it is imposing and beautiful and magical! Pay to explore it close up or admire it from a distance. 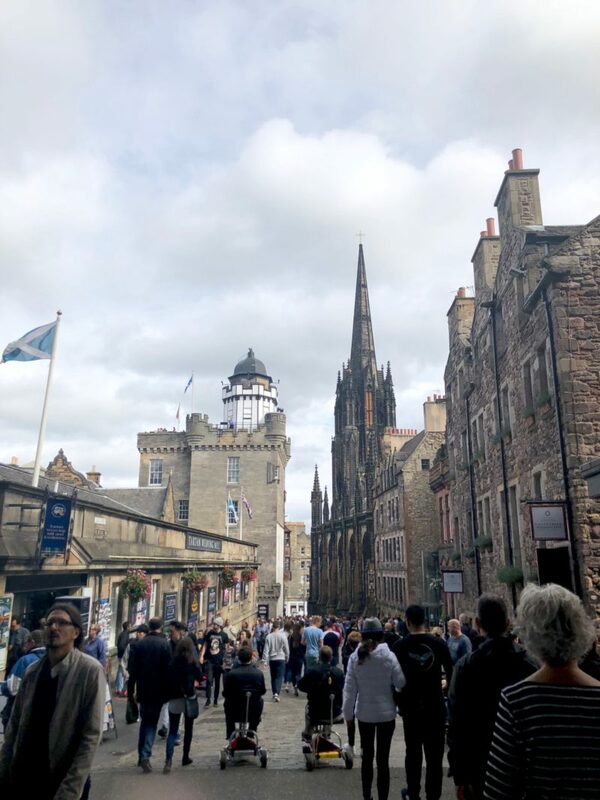 It has been a royal residence, a fortress and a prison, ‘witches’ have been burnt at the stake there, and like everywhere else in Edinburgh Old Town it is reportedly very haunted! 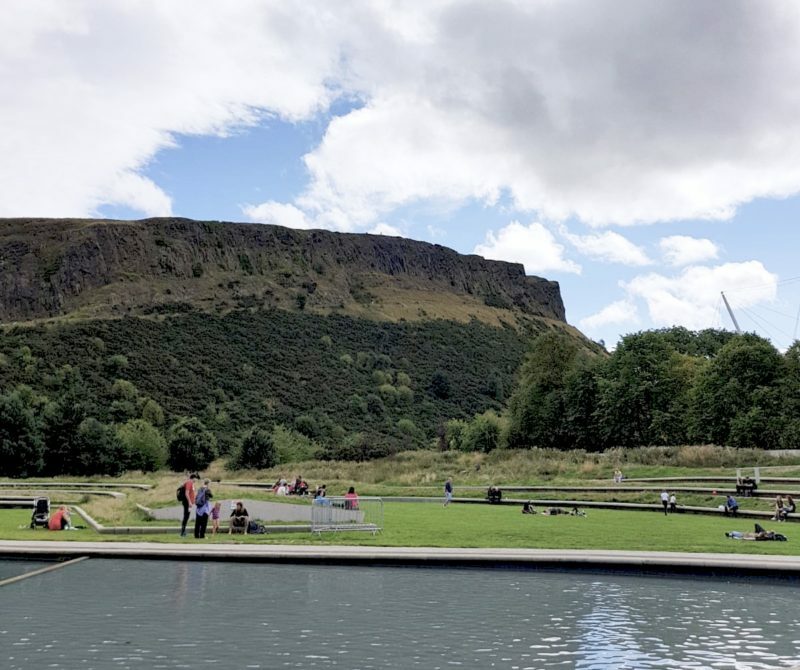 Beneath the volcano is Holyrood Castle, the Queen’s official residence in Edinburgh (although she has apparently never stayed there according to our taxi driver!). 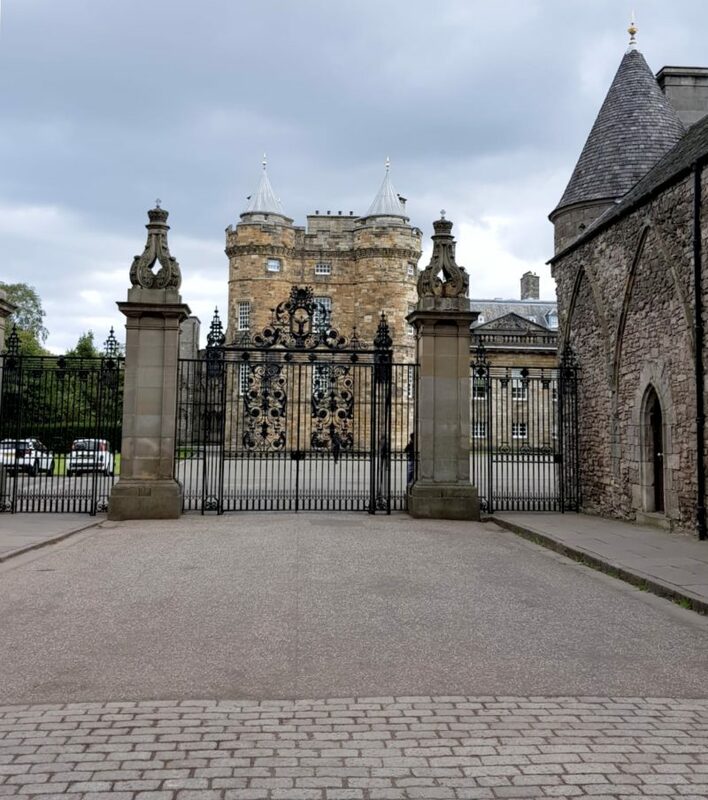 You can take a look inside the state apartments and see the Queen’s rooms (if she ever did decide to crash there). Edinburgh is one of those special places where just wandering around and taking it all in is an activity in itself. 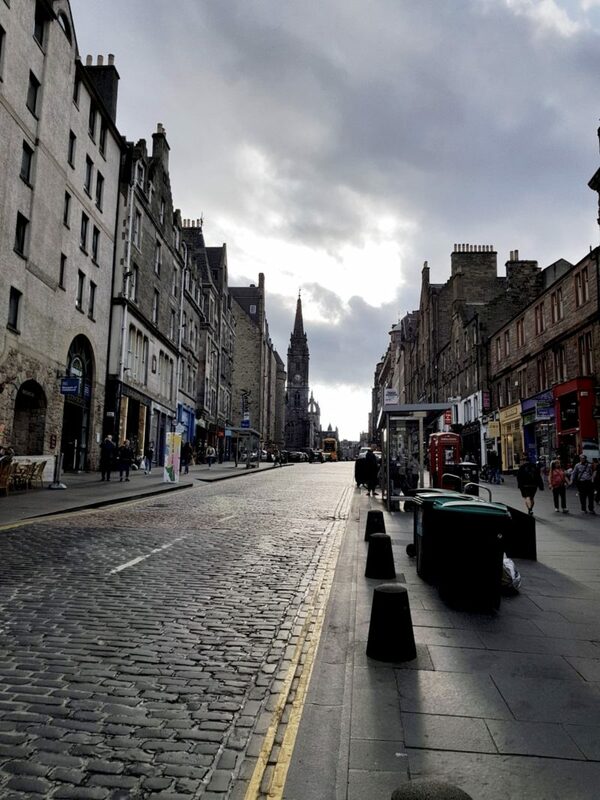 The streets and buildings are beautiful, the sound of bagpipes playing as you step off the train is instantly immersive. The history, the legends, the food, the accent…it’s such a fantastic experience. 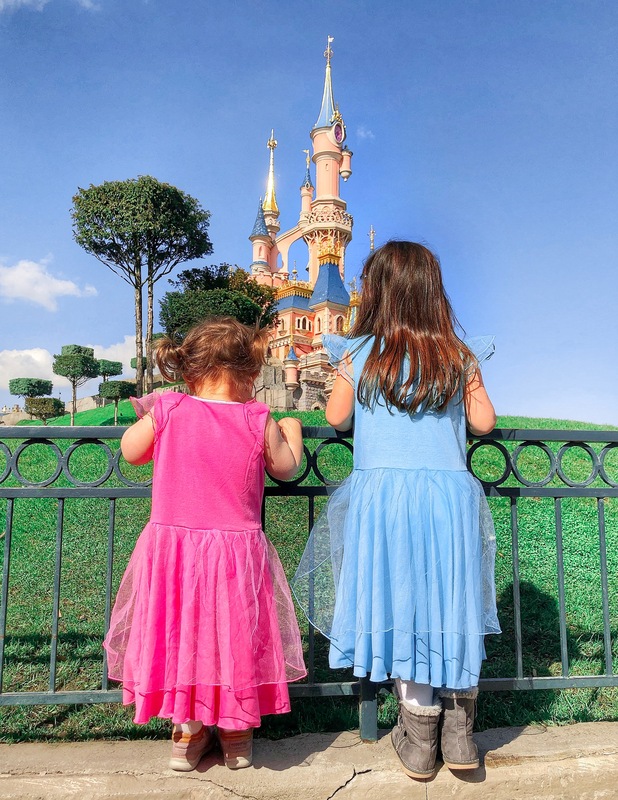 There is so much to do that you’d be forgiven for not leaving time to just stroll about without a plan, but you really must! There are so many shops (about 5000 shops selling tartan scarfs, but there are others I assure you!) and cafes and street performers and hidden gems down every street that you really don’t NEED to do anything at all if you don’t want to! And if you leave without a tartan scarf you are certainly made of stern stuff! 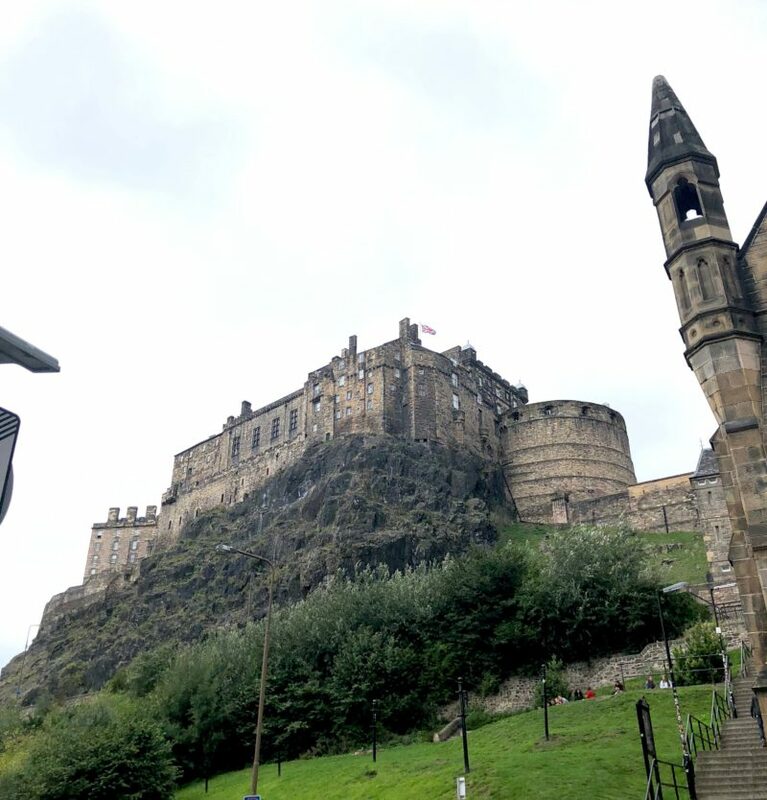 Edinburgh is a brilliant city to visit, it has become one of my favourite places in the world after our short stay. 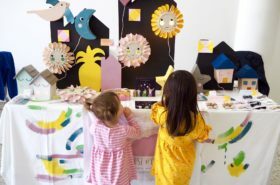 It would also make for the perfect holiday with kids. 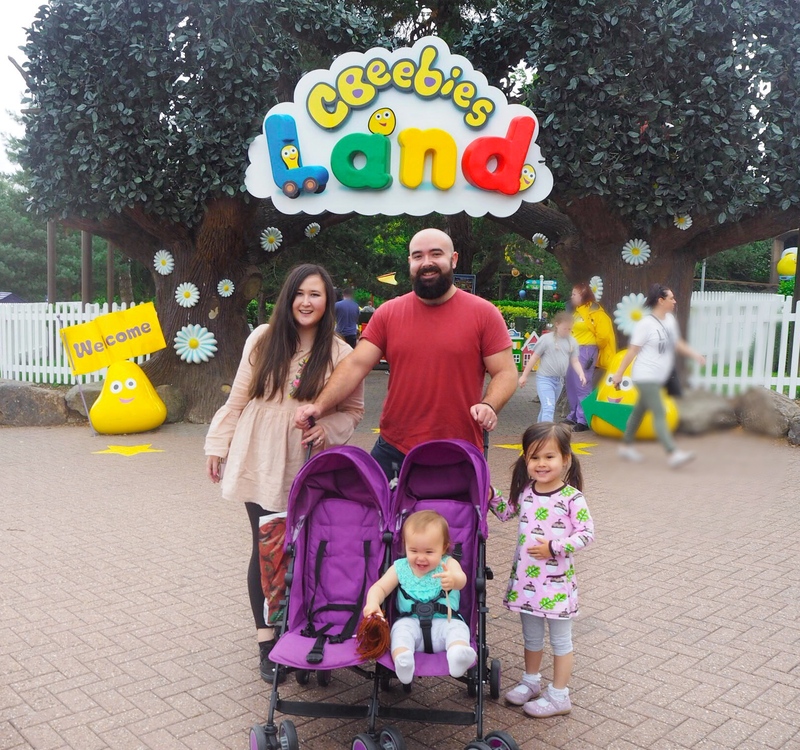 There are no shortage of ideas for days out with toddlers, one thing I always worry about when planning family travel. 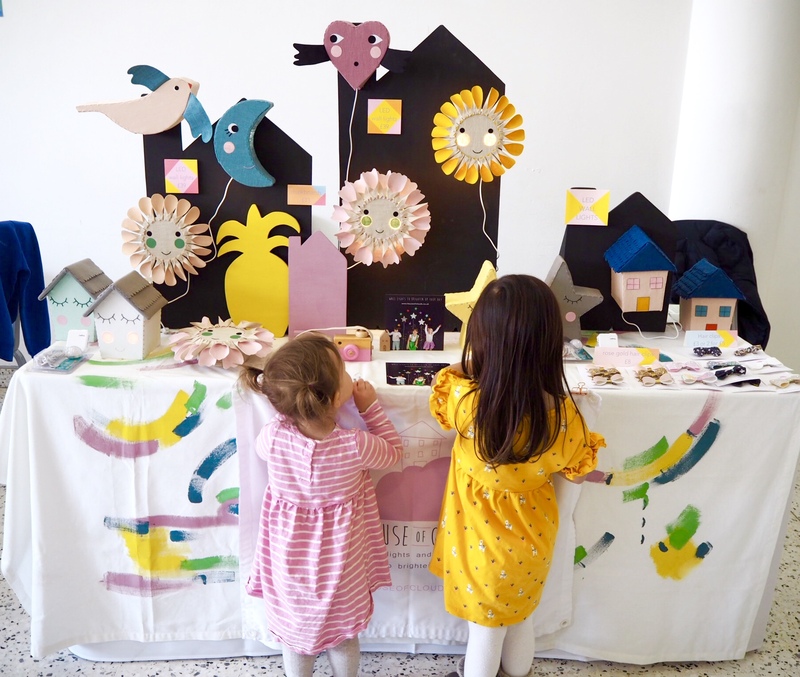 It really has it all and there was so much to do! Highly recommend a short trip to this gorgeous city! 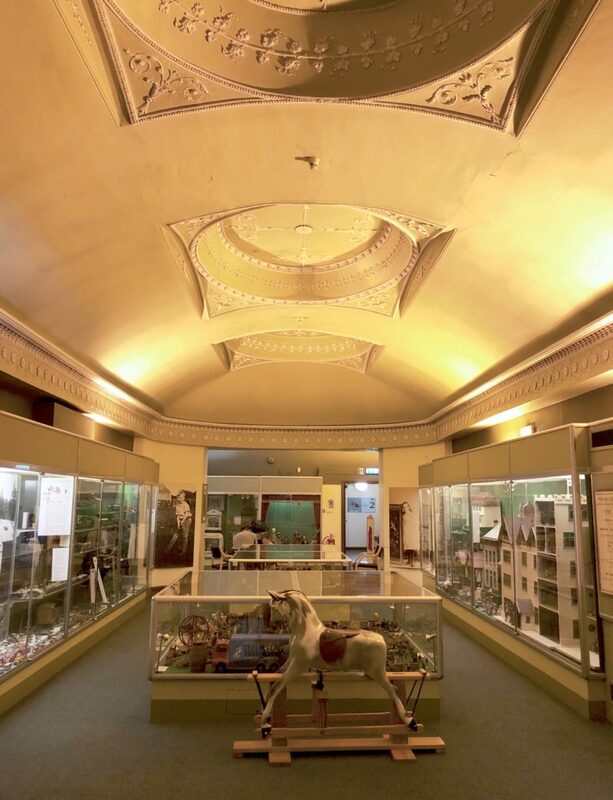 For more info on visiting Edinburgh click here.